Hot or iced, served with a shot of espresso or a dash of cinnamon, for many people their days don't officially start until they've had that first cup (or 2) of coffee. 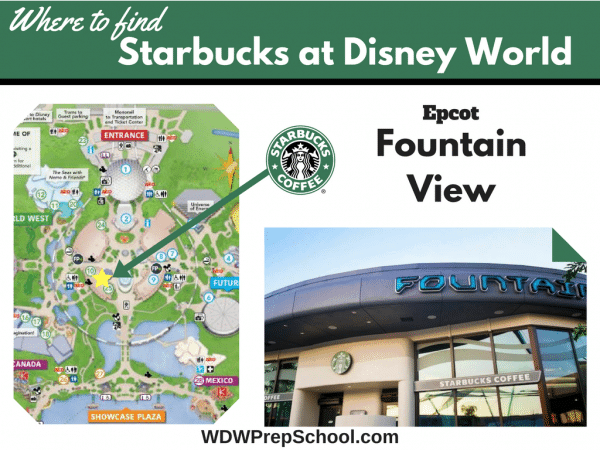 If you're visiting Disney World you may not realize that you can find your favorite Starbucks drinks at all four of the parks and at Disney Springs, too. 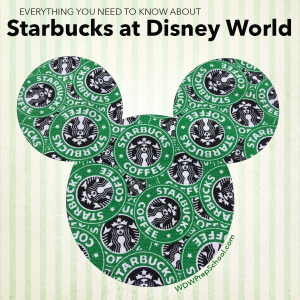 Check out the tips and maps below to learn all there is to know about Starbucks at Disney World. 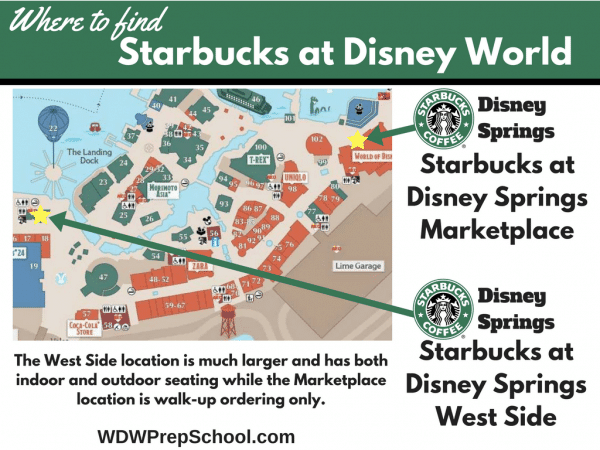 In the parks, the Starbucks locations aren't actually called Starbucks so you might walk on by without realizing it. Here are the names and locations in each park. Note: mobile ordering in the Starbucks app is not available in the parks. Main Street Bakery, located on the right side after you enter and walk down Main Street. Fountain View, located to the right of the main fountain after you walk past Spaceship Earth. Trolley Car Cafe, located on the right side at the corner of Hollywood and Sunset. Creature Comforts, located on the left just before the bridge to the Africa section. There are 2 locations in Disney Springs - a smaller location located near the World of Disney store, and a much larger location located by the water near the AMC Disney Springs 24. In the larger location in the West Side, there's a screen where you can see the Disneyland Starbucks location and its visitors (and they can see you). At the smaller Marketplace location, you can order delivery to wherever you are in Disney Springs. Just download the official Starbucks app, make sure your credit card is linked, touch the Order tab, select the Marketplace location, and then order your item(s). Call the location at 407-279-2794 to let them know where you're located in Disney Springs and they'll bring it to you. 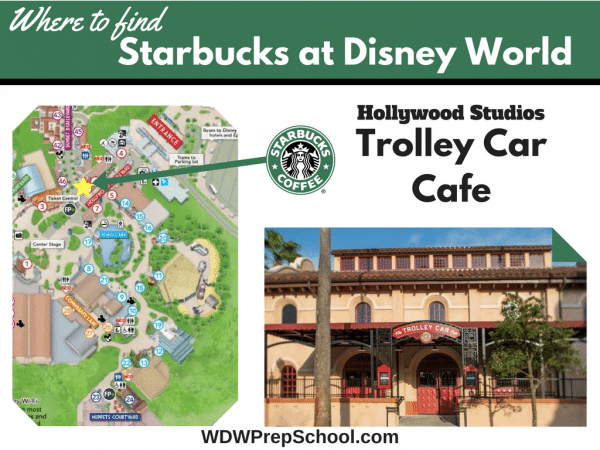 This service is available 8 a.m. - 10 p.m.
You can order Starbucks at Magic Kingdom and Hollywood Studios before the park is officially open because the area that they allow guests to enter while they wait includes the Starbucks locations. Lines can be long, but they do move relatively quickly. Almost everything on the menu is considered a snack credit on the Disney Dining Plan, and if you get a drink with lots of extra flavors in it, it becomes a really good value of a snack credit because you would have paid $8 or 9 out of pocket (and anything $5+ is considered a good snack credit value). Starbucks gift cards are accepted at all Disney World Starbucks locations; however, you can only use your Starbucks Reward Points at the 2 Disney Springs Starbucks locations. Disney gift cards are accepted at the Starbucks locations at Disney World. The Starbucks app works for payment at all locations at Disney World and you can earn Stars (but not Bonus Stars). However, you can only redeem free drinks at the locations at Disney Springs, not in the parks. 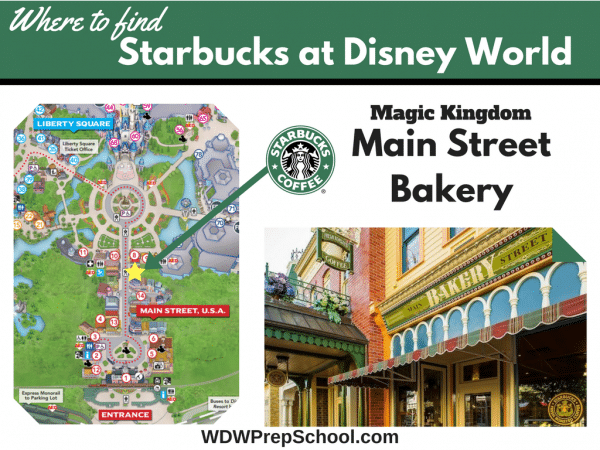 Each location has favorite Starbucks treats, but also offers Disney-specific things like specialty cupcakes and Mickey-shaped things. At these locations, you can purchase the popular "You Are Here" mugs that feature each park (as seen in the pic), and recently new ceramic mugs have started to pop up in the Disney World locations. These mugs are exclusively available at Disney World. Annual Passholder and Disney Vacation Club discounts are available on merchandise, including the mugs. 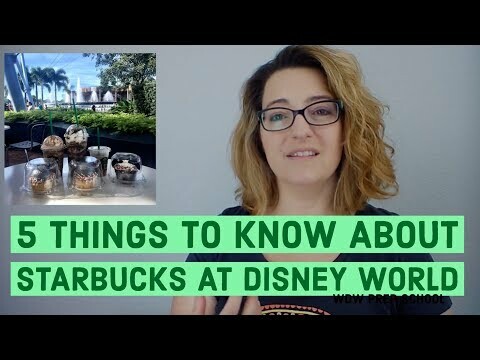 Check out this video on Starbucks at Disney World. So what do you think? Have any questions we didn't answer? Let us know in the comments. 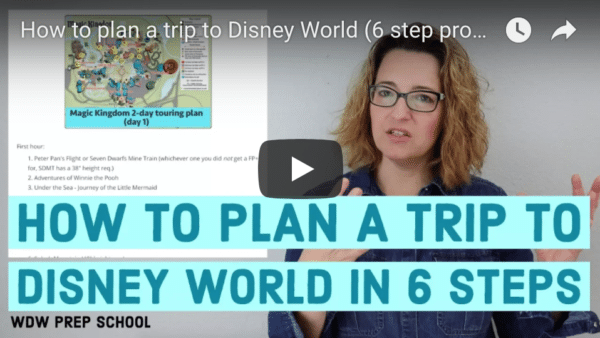 You mentioned at the end of the video that there would be a link on “…how to get it delivered to where you’re at…”, but I can’t find that information anywhere. Can you assist? Thanks! Great Info, thank you!! 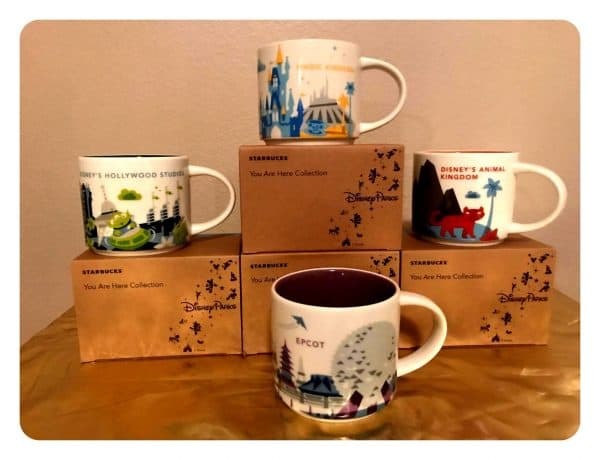 I’m an annual park visitor and we’re heading to WDW in 2 weeks and I’m dying to get my hands on the current “You Are Here” mugs from each park because Starbucks is retiring the current line to make way for a new design! I’m hoping and praying they’ll still be around when we get there! Thanks also for outlining each Starbucks location in the parks! 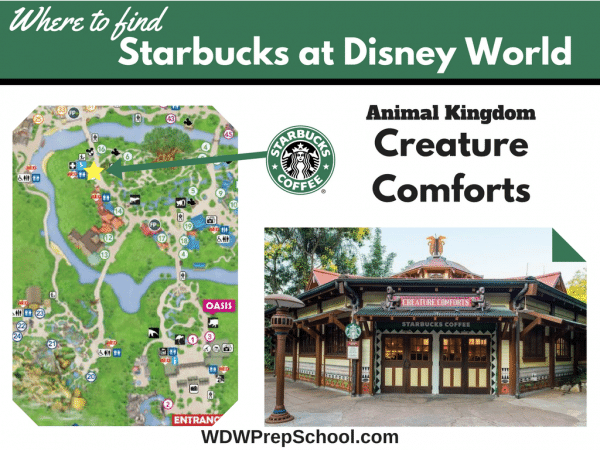 As many times as I’ve been there I’ve never thought about if Starbucks is available inside the parks until this year during my search for the mugs, so it’s nice to know each park for sure has a location and what the names are! You should create your own app for all these tidbits! What isn’t discussed is if you own a Starbucks specialty cup like the insulated tumblers you get a 10% discount, they are specific cups so be sure to ask. I am a collector of the Starbuck Yu Are Here Mugs. Can I purchase them in the parks and have them sent to my Disney hotel? If not, can they be available at he front of the park for pick up on my ay out at night? I second that! Ian it’s possible to do either of those? Thank you! I don’t recall it being an option in the Starbucks locations, but if anybody else has been able to do that, I’d love to hear about it. I worked at Studios until January of 2018 and while I worked there, Starbucks couldn’t send it to the front of the park, but any of the retail locations can send it to the front of the park or the resort. You just have to ask a cashier and they can help you. Can you use a dining plan quick service credit for a meal at Starbucks? If so, what could you get? Well, three snack credits = meal, so you can probably use a meal credit that way. You certainly can in all the quick-service locations and merchandise locations.